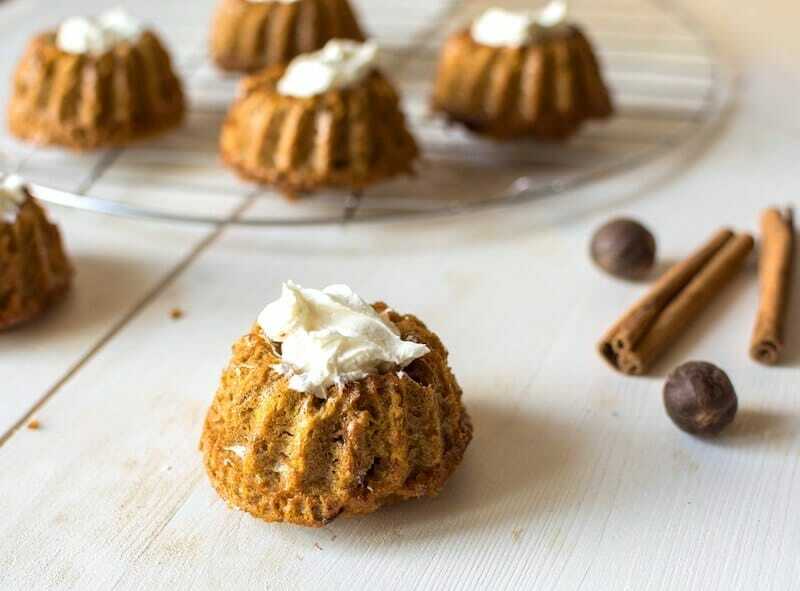 This mini paleo carrot cake recipe is the best healthy, from-scratch dessert for any occasion. It's made with coconut flour plus coconut cream for frosting! This adorable mini paleo carrot cake recipe is the best healthy, from-scratch dessert for any occasion. It’s made with coconut flour plus coconut cream in place of the cream cheese frosting. 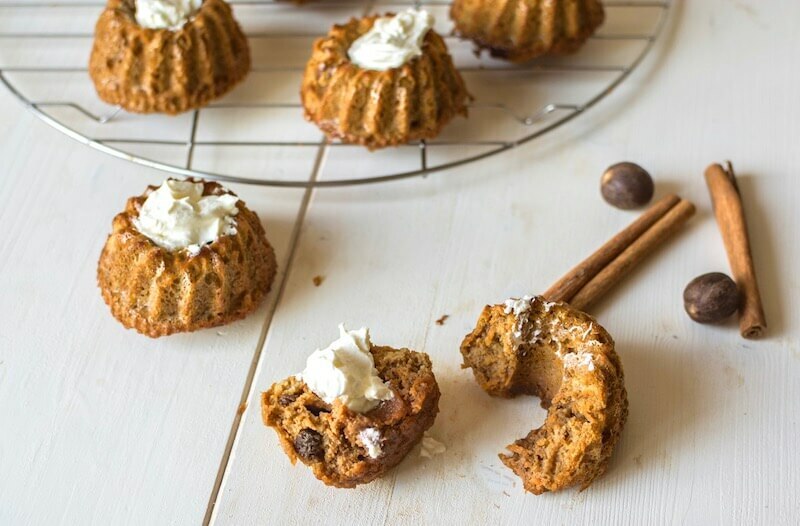 It can be made in a muffin tin to create cupcakes or you can use a mini bundt cake pan. This simple treat is gluten free, dairy free, grain free, but not lacking in flavor! There is a light feeling of autumn in the air even if the warm summer days are still here. But the days have started to cool down so turning on the oven is not something that scares me anymore. I wanted to cook something to fill my kitchen with rich flavors and also use healthy summer veggies like carrots. 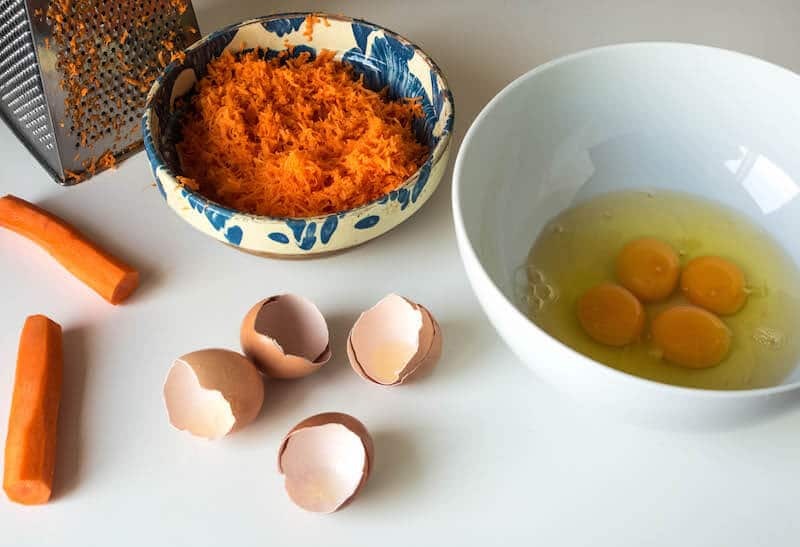 When I was a child I thought that carrots could only be used in savory foods like a stew, but I found out that carrot cakes or carrot cake muffins are extremely delicious and they earned a well-deserved place amongst the comfort foods we cook in our house. The only small problem with these types of foods is that they usually contain a bit of sugar (or a lot), a bit of refined flour, a bit of milk and so on. But the good news is that these recipes can be adapted and turned into healthy dishes full of good fats and nutrients which nourish our bodies. 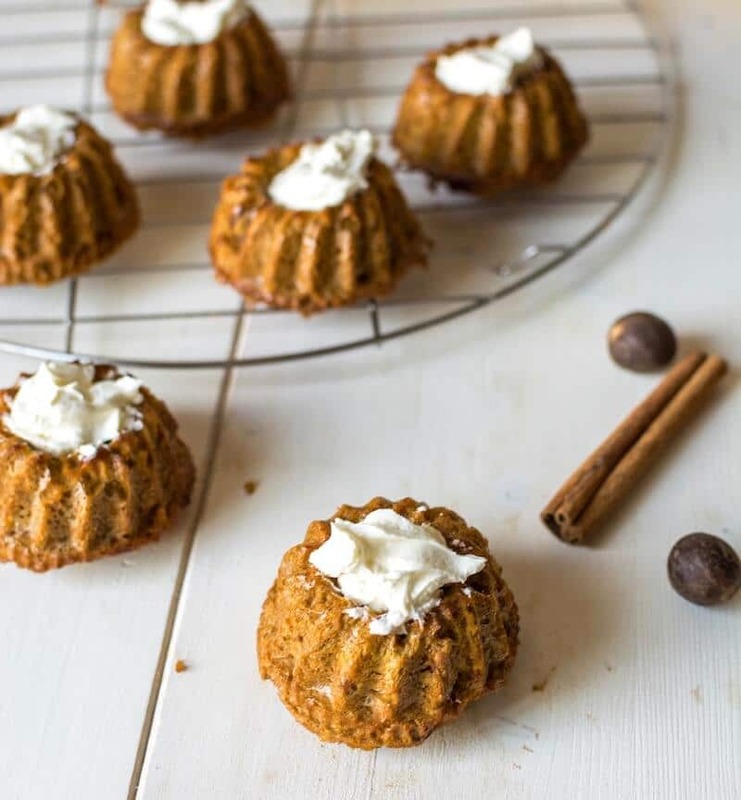 Check out the recipe for the mini bundt carrot cakes below. 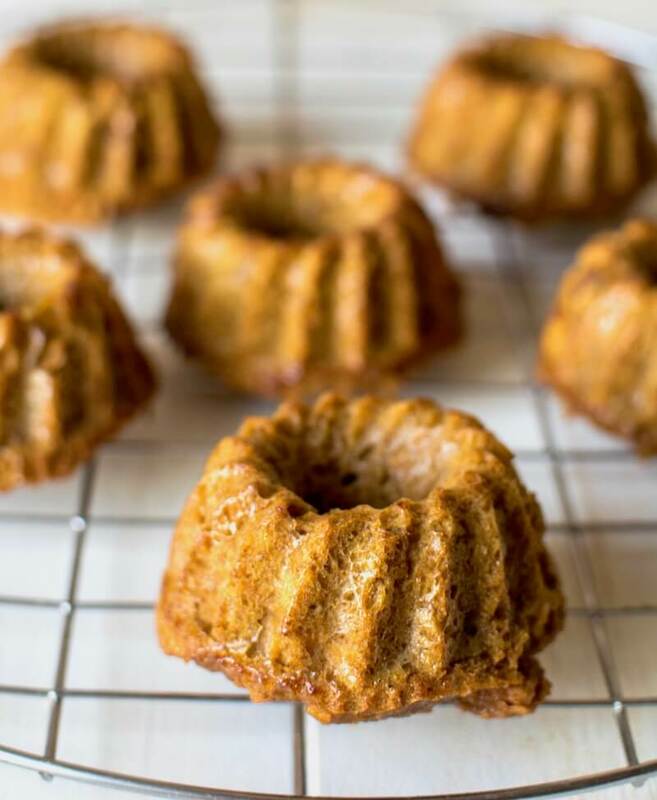 If you don’t have a bundt cake mold simply use a muffin tin since the quantities are the same. Preheat the oven to 350F. 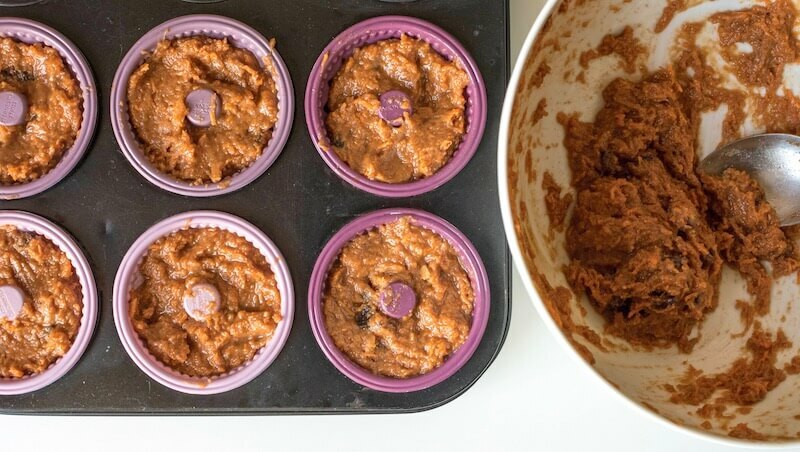 Line a muffin tin with mini bundt cakes or muffin silicone molds. Grate the carrots. Beat the eggs, and add the carrots. Stir well. Pour in the melted butter and the coconut milk. Add the raisins, and stir well. Sift the coconut flour and add it along with the baking powder, spices and salt. Mix until there are no more lumps. Pour the batter evenly into the molds and bake for 25-30 minutes or until a toothpick comes out clean. Leave the cakes in the tin for about 2 minutes, and then remove and place on a wire rack to cool down. Top each with ½ tablespoon coconut cream and enjoy! Carrot cake is my boyfriend’s favorite dessert! I’m definitely going to make this for him! I love little mini bundt cakes! 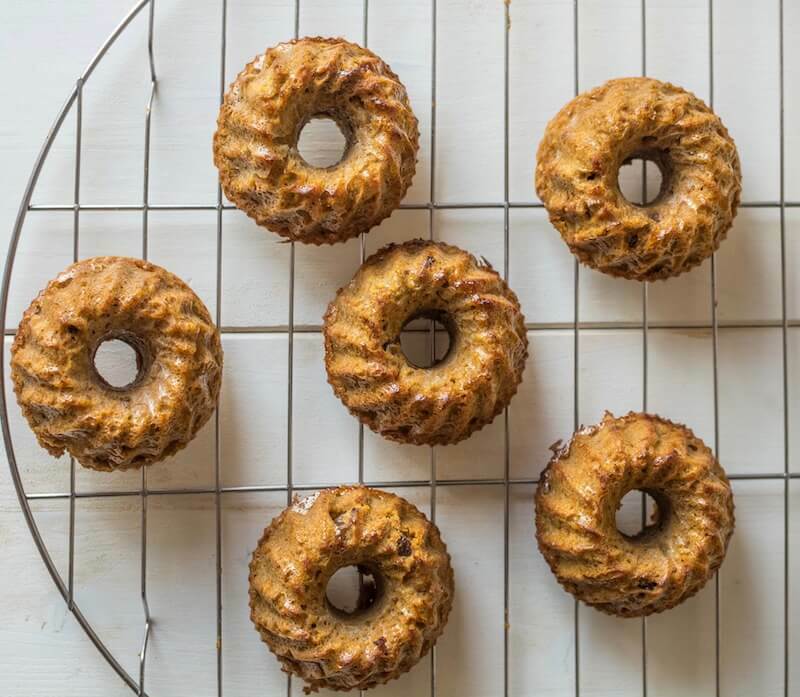 These paleo carrot cakes look so delicious that I want to make them this weekend. I love that they are paleo! What beautiful photos! I am always looking for healthy little snacks for my never ending sweet tooth! These look like the perfect solution! Perfect timing for these little cakes! Those little mini cakes are so cute. Love all the fall spices you’ve used! 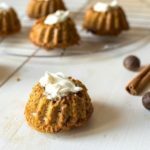 I love mini cupcakes and mini healthy version of richer cakes.This carrot cake looks and sounds delicious. Looks delish! Would it make a difference to leave out the raisins? Maybe substitute pecans or walnuts? Thanks! I don’t think it would change it to leave out the raisins. Nuts would probably make a nice addition too!